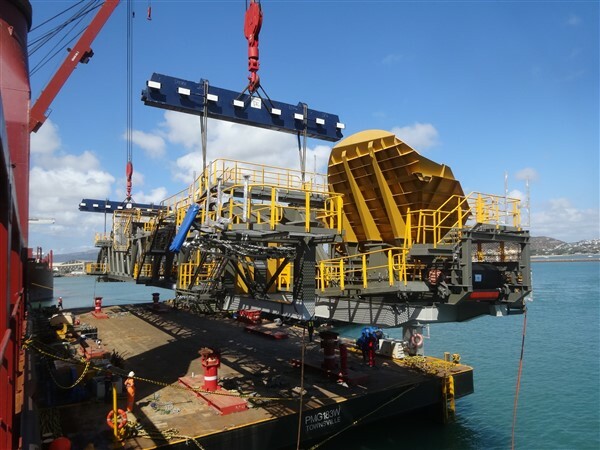 Stacker-reclaimer components worth $50 million and weighing about 2000 tonnes have been imported through Townsville to replace one of six machines at Adani’s Abbot Point coal terminal. Northern Stevedoring Services operations manager Damien Scott said NSS facilitated the discharge of the cargo to barge and road for transport to Abbot Point. "This is one of many awkward pieces NSS expertly handled safely and efficiently," he said. The cargo arrived in September on a heavy-lift vessel and was unloaded to a purpose-built roll-on/roll-off (ro-ro) facility at the end section of Berth 10. 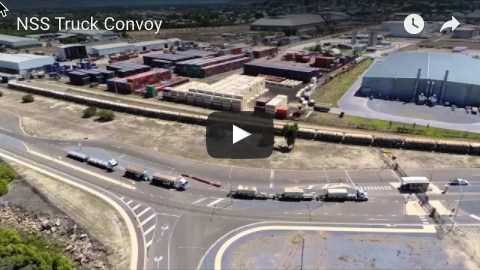 Port of Townsville Limited general manager business development Claudia Brumme-Smith said that the construction of the new ro-ro facility and the movement of such large pieces of cargo was a first for Townsville Port. “Port of Townsville and key stakeholders have been preparing for the movement of this cargo for nearly 12 months,” Ms Brumme-Smith said. 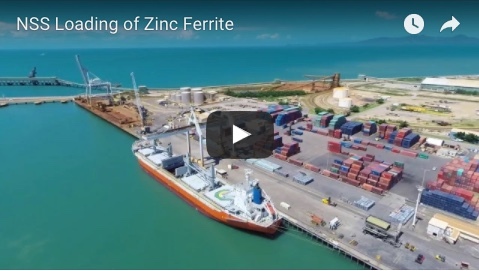 “The construction of a ro-ro facility at the end of Berth 10 means that our port can now facilitate the movement of huge pieces of project cargo into Northern Australia without having to engage the entire commercial section of the wharf. She said the port expected to be able to accept larger vessels by the year 2021, following the announcement of an approval last week by the Queensland Government of the Townsville Port Expansion Project EIS.